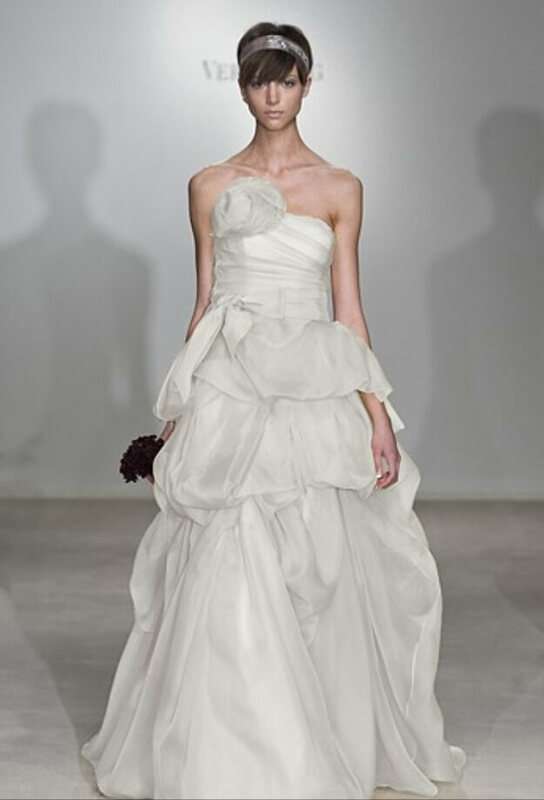 Gorgeous organza Vera Wang gown. Pleated bodice, natural waist, and a flowing, tucked skirt that moves beautifully when you walk and falls in gorgeous folds when you sit. Fabulous bow at waist. 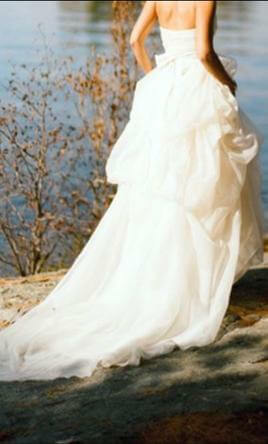 Dress is so luxurious and at the same time is airy and romantic. 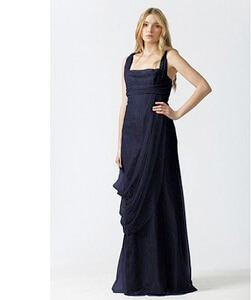 The dress is in excellent condition, just waiting to be worn again.